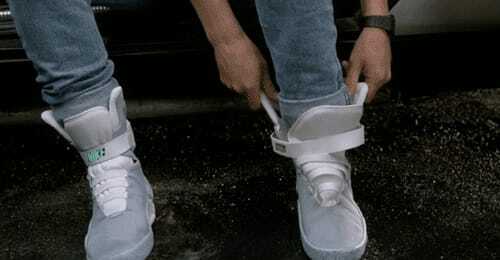 You didn’t have to be a sneakerhead to geek out over these. Back in ’89 when the young style lord Marty McFly donned the futuristic kicks it had everyone that wore shoes dreaming of (auto) lacing a pair up. It took Nike a few decades to actually make it happen (sort of), but it was well worth the wait if you had a couple stacks lying around. Will we finally see a true working version this fall to coincide with the October 21, 2015 date in the film's infamous DeLorean scene? We'll just have to travel back to the future and find out.